Ms. Griffin has a litigation and trial practice with emphasis in banking, insurance, contracts and business litigation. She also has an active criminal defense practice and is Chair of the firm's White Collar Criminal Defense Practice Group She has tried cases in federal and state courts as well as in arbitration forums. Ms. Griffin joined Stone Pigman in 2000. Represented a major Baton Rouge business in a claim for conversion under the Uniform Commercial Code alleging that a bank improperly permitted a former employee to deposit corporate checks into a personal checking account. After a bench trial, obtained judgment in favor of the business for the full amount of the claim. The decision was affirmed on appeal. In related actions, obtained a summary judgment as well as favorable settlements against other financial institutions ordering the return of fraudulently transferred motor vehicle titles. Represented a bank in a claim for conversion under the Uniform Commercial Code alleging that a bank improperly permitted a former employee to deposit corporate checks into a personal checking account. Represented a bank customer for improper payment of wire transfers under the Uniform Commercial Code after the customer's email account was hacked. Represented a local land owner in a claim for fraud in the procurement of several leases with an option to purchase. After a bench trial, the trial court set aside the leases due to fraud and entered judgment in favor of the client for the full amount of damages plus attorneys' fees. Represented two daughters challenging donations made during the last year of their father's life as well as a will executed during that time. Following a trial, judgment was entered setting aside the donations and the will. The judgment was affirmed on appeal. Defended a community bank in a claim arising out of the alleged conversions of customer funds resulting in a favorable settlement. Represented Baton Rouge business in criminal proceeding alleging Medicare and Medicaid fraud. Represented local company in claim by former contractor for breach of contract resulting in nullification of contract. Volunteered hundreds of hours in 2013 and 2014 representing indigent individuals charges with various crimes in Orleans Parish, including state RICO violations. Ms. Griffin is a member of the American, Louisiana State and New Orleans Bar Associations. She is a member of the Louisiana Associations of Criminal Defense Attorneys and the New Orleans Bar Association's Criminal Law Committee. Ms. Griffin volunteers with the Orleans Public Defenders Office accepting representation in conflict cases. Ms. Griffin was recognized as a 2014 Leader in Law and as one of the 2008 Women of the Year by New Orleans CityBusiness. 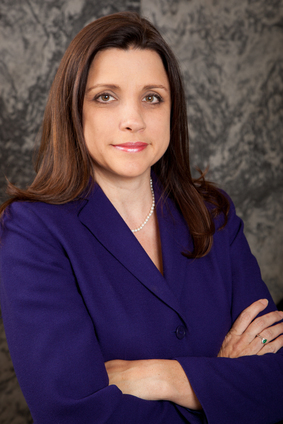 She has been recognized as a Top Lawyer by New Orleans Magazine. Ms. Griffin is also a member of the New Orleans Regional Leadership Institute's Class of 2015. "Unmasking the Laws of Mardi Gras: A Parade of Significant Topics," New Orleans Bar Association Inns of Court Program, January 2014. "Crimes of Fashion: SEC Violations, Criminal Counterfeiting, Labor Law Violations and More in the Fashion Industry," New Orleans Bar Association Continuing Legal Education Program, December 2013. "Federation Flight Log — Winning the Document War," Louisiana State Bar Association seminar Discovery & Depositions: The Discovery Trek — The Next Generation, December 2013. "Ethics - Maintain Your Sanity and Avoid Bar Complaints," New Orleans Bar Association Bench Bar Conference, April 2013. "Criminal Law for the Civil Practitioner," New Orleans Bar Association Procrastinators Program, December 2012. "Stressed and Professional: A Fish Tale?" New Orleans Bar Association American Inns of Court Continuing Legal Education Program, September 2012. "Criminal Law for the Civil Law Practitioner," New Orleans Bar Association Procrastinators Program, December 2011. "Cutting Edge Evidence: New Federal Rules of Evidence 502 & its Effect on Privilege & Cyber Evid," Loyola University New Orleans College of Law, Cyber Evidence CLE, September 2009. Co-authored Corporate Spying and Surreptitious Monitoring, American Bar Association Annual Review of Developments in Business and Corporate Litigation (2007).